The D'Addario Kaplan Amo Violin D String has a versatile playability for the advanced musician. The Kaplan's synthetic core produces a range of warm, complex tones with a versatile projection. The light gauge tension is ideal for musicians requiring an expressive playability with a heavy vibrato. This model's silver winding adds depth to your overall sound, as well as being a protective layer to the core. 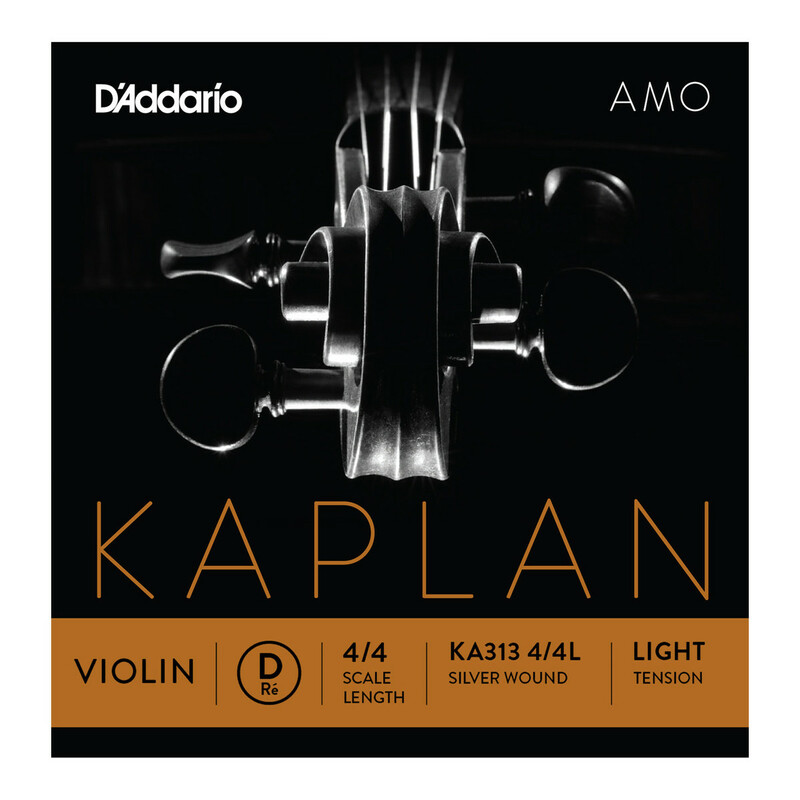 The Kaplan's feature instant response after their initial tuning, making them ideal for gigging musicians. This string features a ball end and is designed for full size violins.